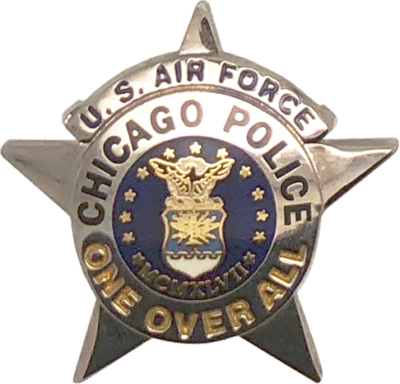 This pin is a customized version of the current 2002 Series Chicago Police Star with a United States Air Force theme. 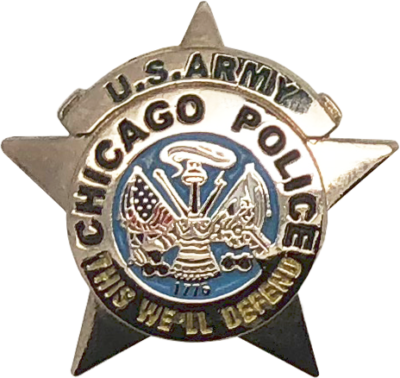 This pin is a customized version of the current 2002 Series Chicago Police Star with a United States Army theme. 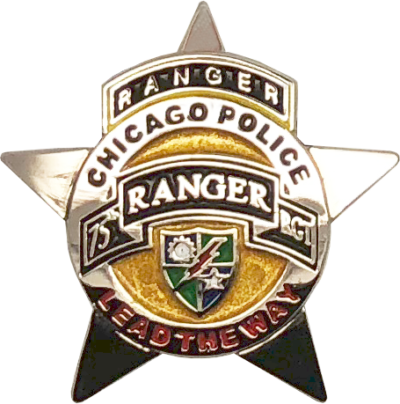 This pin is a customized version of the current 2002 Series Chicago Police Star with a United States Army 75th Ranger Regiment theme. 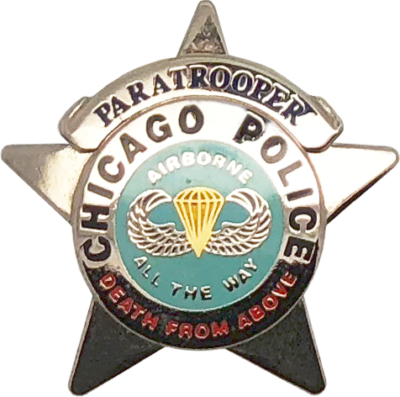 This pin is a customized version of the current 2002 Series Chicago Police Star with a United States Army Airborne Paratrooper theme. 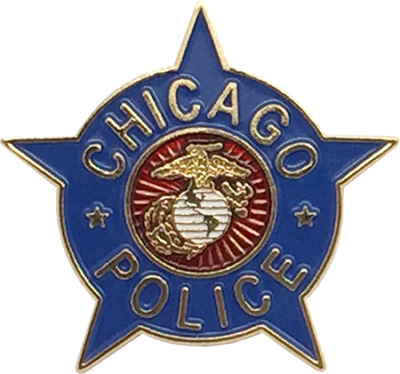 This pin is a customized version of the 1960's Chicago Police Star design used for Captain Stars, letterhead, squad cars and publications with a Marine Corps theme. 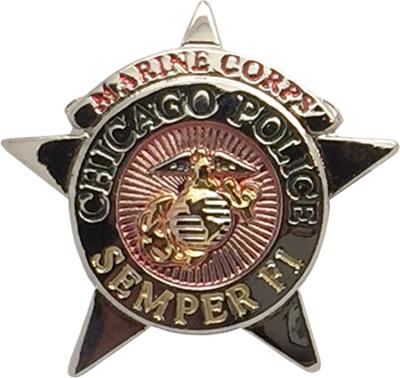 This pin is a customized version of the current 2002 Series Chicago Police Star with a Marine Corps theme. 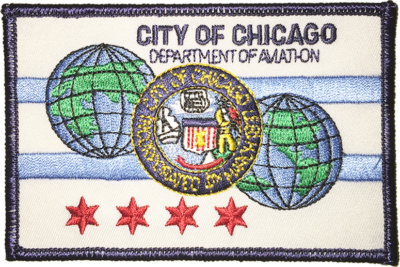 This pin is a customized version of the current 2002 Series Chicago Police Star with a United States Navy theme. 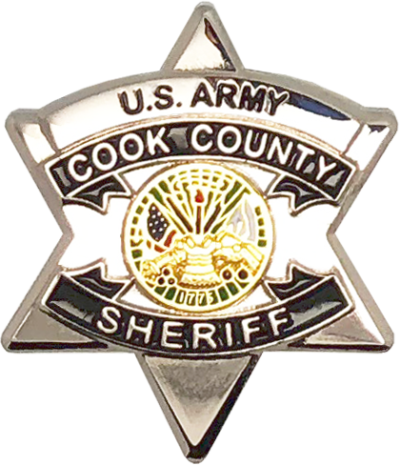 This pin is a customized version of the current Cook County Sheriff Star with a U.S. Army theme. 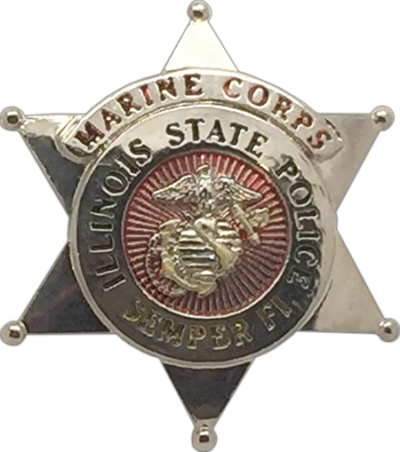 This pin is a customized version of the current Illinois State Police Star with a Marine Corps theme. 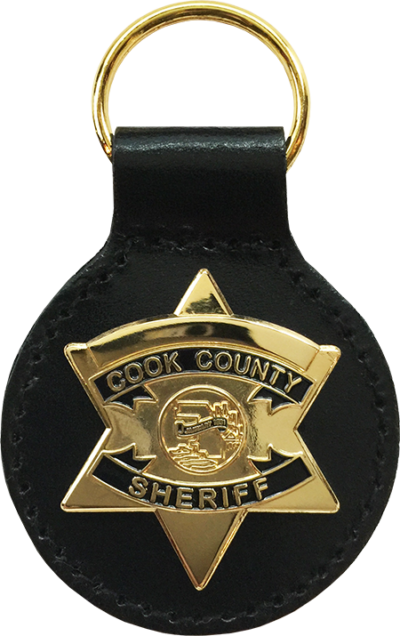 This pin is a replica of the legendary USMC KA-BAR knife, which was later adopted by the U.S. Army. 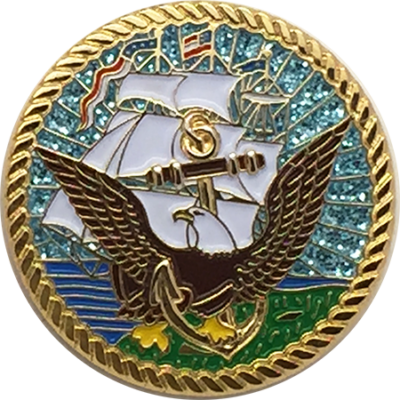 This pin is a replica of the current badge carried by Naval Criminal Investigative Service Agents. 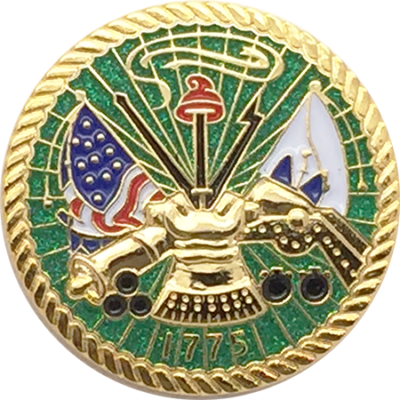 This pin is a miniature replica of a Ranger Tab denoting the service school military decoration of the United States Army signifying completion of the 61-day-long Ranger School course in small-unit infantry combat tactics in woodland, mountain, and swamp operations. 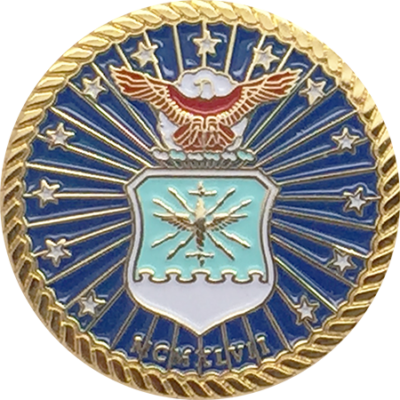 This pin is a stylized version of the United States Air Force Seal. 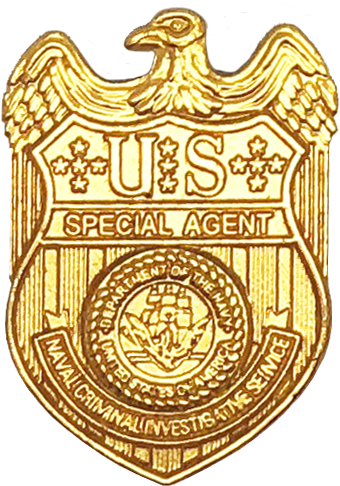 This Pin is a stylized version of the United States Army Seal. 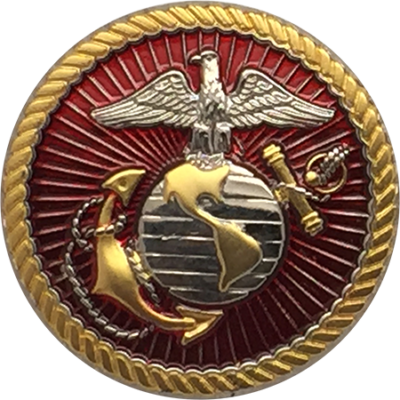 This pin is a stylized version of the United States Marine Corps Seal. 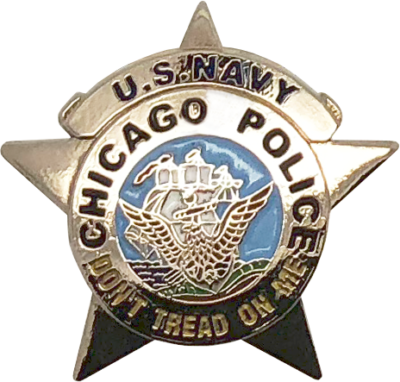 This pin is a stylized version of the United States Navy Seal.